This type of disease is a condition where your immune system attacks your own body and causes inflammation and damage to your body’s tissues. 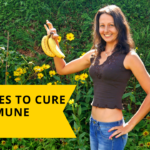 Your immune system’s job is to defend your body against unwanted invaders like unwanted bacteria, viruses and other pathogens, but in the case of autoimmune disease it starts attacking the body itself. 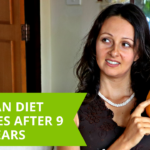 This can not only greatly affect your quality of life, but in some cases autoimmune disease can even lead to death. So it’s a condition that should always be taken very seriously. 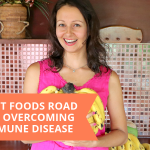 Another big problem with having this type of disease is that your chances of developing more than one autoimmune conditions is significantly increased. 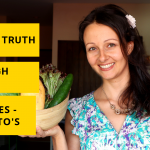 When I (Yulia) was first diagnosed with having a low functioning thyroid gland in my early twenties, none of my doctors even mentioned anything about Hashimoto’s thyroiditis. It was only a number of years later that I discovered that I did actually have Hashimoto’s, and this was only after I had done a lot of research on the subject myself and then asked my doctor to test me for it. 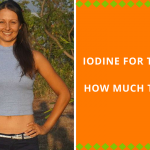 I have lowered my own thyroid antibodies through diet and lifestyle modification and I help other women to do the same. Every disease has a root cause or causes and autoimmune diseases are no different. 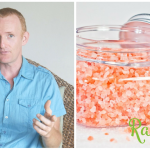 In my video today I am going to focus on 5 hidden causes of autoimmune disease in greater detail. See above to check it out and leave your comments! 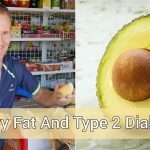 During our training, we’ll will walk you through the 5 steps our clients use to overcome hormonal imbalances and drop pounds of extra weight … whilst never restricting themselves of carbohydrates and sugar.